Often times, if anything goes wrong with your car, your first instinct is to take it into the shop. Unless you are a “car person”, the idea of doing our own auto repairs is not only incredibly daunting, but it just doesn’t register as an option. And that’s a completely fair position; an amateur has no reason to be trying to fix their transmission or diagnose a check engine light on their own. However, there are certain fixes that can be accomplished by an amateur, as long as they are careful and follow a guide. Having a tail light go out is one of those issues. Taking care of it yourself can save you literal hundreds of dollars, as instead of paying auto shop prices for parts and service, all you have to do is grab a bulb and a few tools and take care of it yourself. Here’s a detailed guide on how to replace your own tail lights in your own driveway or garage. The main things that you’ll need for this job will be a screwdriver and, possibly, a socket wrench. You’ll also need to acquire a bulb that matches the one you need to replace. It’s possible, however, that you won’t actually know which type of bulb you need until you get to that point in the replacement process; if that is the case, then that’s okay. It just means you’ll need to take care of it down the line. If the vehicle is old or if the screws/bolts in question are particularly stubborn, you might want to get some WD-40 as well, to help you loosen what you need to. To do this, you’ll need to turn the car on, but not the engine on (or at least, you don’t need to have the engine on). With the car in park, step out and examine the vehicle carefully. If it’s a blinker that’s supposedly out, turn on the car’s hazard lights. This is, of course, if you’ve been informed a light is out and are not sure which one. It’s good practice to get into to check every once in a while, however, in order to forestall issues with the tail light arising unexpectedly. Once you’ve identified the proper bulb, you may turn the car off. Some cars, especially newer models, have easy access lights to make much of this process unnecessary. Instead of having to get at the light through the housing on the outside, you can access the light in these models from the inside. Check to see if there’s an area on the inside of the trunk where you can access the tail light; generally, these will be covered up by either a panel or a flap. If you can get at the light from here, then you can skip the next two steps and jump right to Step 6: Unscrew the Back of the Bulb. None of the colored lights on your car have colored bulbs. Instead, they’re all kept behind colored lenses, to achieve the colored light effect. The first thing that you’re going to need to do is to get at the burnt out bulb, so you’ll need to remove the entire lens housing. Generally, these will be held in place with Phillips head screws, so you’ll need a Phillips screwdriver for the job. Sometimes, however, there will be bolts instead of screws, and you’ll need to use a socket wrench instead. If you need to acquire tools for the job, try to make sure exactly what you need to get the housing off before you go out and purchase them. Whatever is holding the housing in place, make sure that the screws or bolts that you remove are stored in a safe place, or you’ll have to go out and buy exact replicas. Once the screws are out, the housing will pretty much be resting inside the car. The next thing you’ll want to do is pull the housing out of the hole that it’s in. You can’t yank it out, since housing will still be attached to the car via wiring, and you won’t be able to pull it very far out for the same reason. You really just need to pull it out enough to access the housing so that you’re able to work on it. Generally, the bulb of the light will be held in place by being screwed into the assembly. From here, you’ll need to reach behind the back of the bulb and unscrew the bulb manually, by hand. Some housing units will contain more than one bulb, so make sure that you’re unscrewing the correct one. The bulb that you’re unscrewing will be the part that connects the wires to the lens housing, so if you’re having trouble finding it, follow the wires with your hand. You don’t need to unscrew it a great deal, either; it will only require a quarter turn or so counterclockwise to unseat the bulb casing. Once you’ve got the bulb casing completely detached from the lens housing, you can actually access the bulb itself. If you had to turn the lights on recently to find the right bulb, then there is a good chance that the bulb will be hot to the touch. Make sure it’s not going to burn you before you grab it. Once the bulb is cool, you can remove it from the bulb’s plug; the plug should still be attached to the wires, but the bulb will come out completely. If you already knew before you started the process which bulb you would need to replace it with, then you can go ahead and skip this step. Often, however, it can be impossible to pick the correct bulb without knowing exactly what model you need to replace it with. There are two different ways of accomplishing this: either you can match the numbers on the base of the bulb to the numbers on a replacement bulb to make sure they are the same type, or you can walk into an auto shop and hand the bulb to one of the people working there and ask them to guide you to the proper bulb. The second option is generally going to be the preferred option for amateurs, as matching the small numbers on the base of bulbs can be a tedious task. Once you’ve found the proper replacement bulb, you can slide that into the base of the bulb just like you popped the other one out. Some would recommend that you apply a tiny bit of dielectric grease to the tip of the bulb before you insert it into the base, but there is some debate by experts in the field as to whether this is really necessary. You will likely suffer no negative consequences if you don’t apply the grease, but if you feel like it is necessary, go ahead. Once the bulb is placed firmly in the socket, you can replace it into the housing just like it was removed, by inserting it in the lens housing and turning it a quarter turn clockwise. That should lock it in place in the housing. You’re almost done, but before you finish up, you’re going to want to test it out, to make sure that you don’t have to go through the entire process again. If you’re with someone, have them watching while you turn the key in the car’s ignition. Otherwise, just turn the car on and then pop out yourself to make sure that the light is working. If it is, you’re all good, if not, you might have done something wrong, or you might be in need of a new bulb. Finally, you can finish up the job. Slide the housing lens back into the gap in the car where it came from, and then tighten it to hold it in place with those screws or bolts you stored carefully and definitely didn’t lose. Hopefully, you’re now completely comfortable taking care of a tail light on your own. If you still don’t feel like you should even after reading the guide, however, make sure you don’t ignore it. 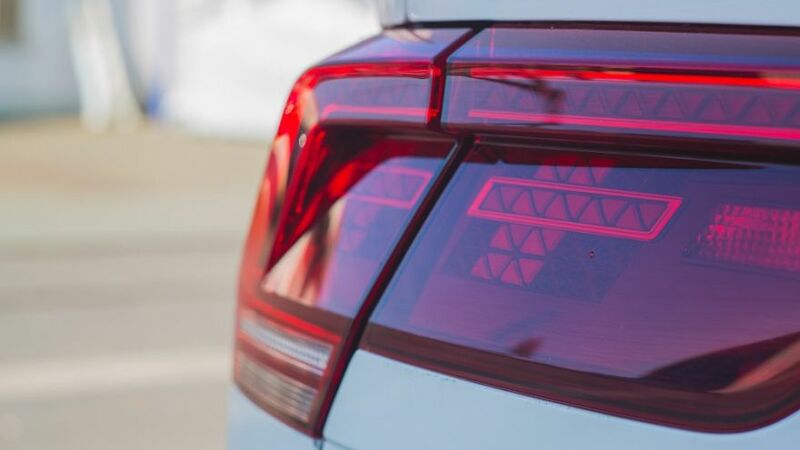 Tail lights feel like a very small problem, but you could easily get pulled over and slammed with a hefty ticket if you neglect to fix yours. And that’s not the worst that can happen; if you merge into a lane thinking that you signaled but the person in that lane didn’t see, that is a very easy way to cause an accident. Do yourself a favor and check your tail lights every now and again, just to nip the problem in the bud before it causes a real issue.